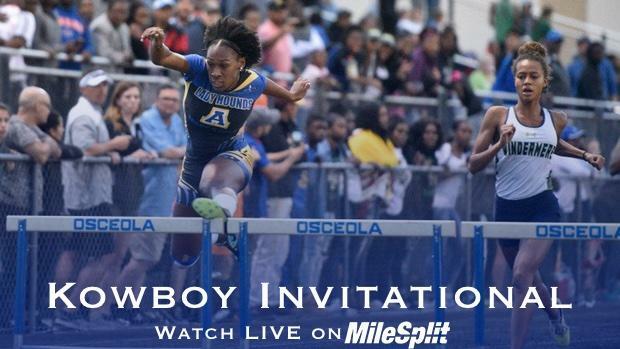 Welcome to our annual Kowboy Track & Field Invitational, hosted by Osceola High School in Kissimmee, FL! This year our event will take place on March 14th, 2020. All teams are limited to 3 individuals per event and one relay team per event per school. There are concessions for everyone with a wide variety of food. The throwing areas are located to the West of the stadium on the football practice field. Our jumping areas are inside the stadium where spectators can view them with ease. There will be awards for the top 8 athletes, with trophies to the championship and runner-up teams. At the end of the meet each coach should nominate their highest scoring female and male athlete from their team. There will be an award for the highest scoring male and female of the meet. We will seed the top 16 girls and boys times in the 800m, 1600m, and 3200m to run in the Finals, all others will run in the earlier, unseeded races. If an athlete in the unseeded races runs fast enough to place, he/she will do so. Please be honest about your seed times. I hope everyone enjoys the meet and we can make this yearly event grow and attract the best competition in Florida. "To be the best, you must compete against the best"